Juul has announced that it will temporarily halt sales of most of its flavored nicotine pods in over 90,000 brick-and-mortar stores. The move comes as the FDA is trying to reduce “epidemic” levels of teen use. Juul said on Tuesday that it stopped taking retail orders for its mango, fruit, creme, and cucumber pods at convenience stores, vape shops, and other retailers that sell them. Sales of all of the company’s flavors will continue on its website, and sales of its four tobacco and menthol-flavored pods will continue in retail stores. “We don’t want anyone who doesn’t smoke, or already use nicotine, to use JUUL products. We certainly don’t want youth using the product. It is bad for public health, and it is bad for our mission. JUUL Labs and FDA share a common goal – preventing youth from initiating on nicotine,” CEO Kevin Burns said in a blog post on the company’s website. “To paraphrase Commissioner Gottlieb, we want to be the off-ramp for adult smokers to switch from cigarettes, not an on-ramp for America’s youth to initiate on nicotine. We won’t be successful in our mission to serve adult smokers if we don’t narrow the on-ramp,” Burns continued. 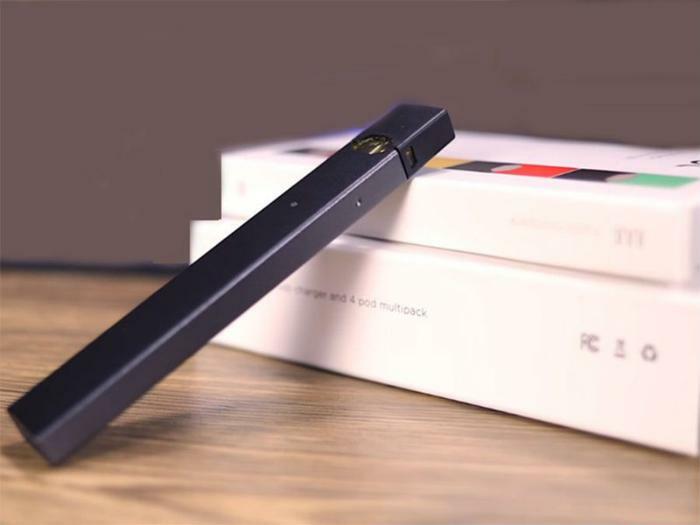 As part of its effort to comply with regulators seeking to curb youth use of e-cigarettes, Juul will also shut down its Facebook and Instagram accounts and end promotional activity on Twitter. A recent study found that a significant percentage of the company’s Twitter followers are teens, many of whom regularly spread the brand’s messages. Critics have said the advertising tactics of e-cigarette makers make the products seem glamorous. Toward that end, Juul says it will use its Twitter account for “non-promotional communications only” going forward. In September, FDA Commissioner Scott Gottlieb ordered Juul and four other e-cigarette producers to announce their proposed plans to reduce what he called "epidemic" levels of teen e-cigarette use. Gottlieb said preliminary federal data showed a more than 75 percent surge in high school students using e-cigarettes. Juul’s product was the number one e-cigarette in the United States as of December 2017. Sales increased from 2.2 million devices sold in 2016 to 16.2 million devices sold in 2017. Earlier this month, reports surfaced that the FDA is planning to issue a ban on the sale of fruit and candy flavored e-cigarettes at convenience stores and gas stations. The agency is also expected to introduce stricter age-verification requirements for online sales of e-cigarettes.